Granny Smith and Gold Delicious 113 and smaller continue to be in a demand exceeds supply situation. Sizing is peaking on 72/80/88 premium grades. Prices continue to rise in order to slow movement with shippers hoping to extend the season. Quality is good. Demand has picked up on Galas across the board from 72 to 138 which has this market on the rise. Quality is good. Red Delicious and Fuji markets are steady with moderate demand. We could see these markets firms slightly over the next couple of weeks. Quality is good. New York, Michigan and Pennsylvania still have plenty of Reds for those who do not need Washington Apples. Quality is still nice. Transportation has slowed to a crawl due to snow in the area. The weather in Caborca has improved and we are staring to see better availability with stronger numbers coming in from Mexico. We are still seeing some colder nights that cause a decrease in yields in some regions but overall supply is going strong. We have been seeing lighter supply on Jumbo size due to cold temperatures, supply should increase mid to late next week as weather is expected to improve. Peruvian supply is temporarily out due to seasonality. Overall markets on both coast is steady with good demand with lower markets out West. The weather this week in Michoacan Mexico calls for temps in the 70s-80s with no rain in the forecast. Fairly light demand this week with a steady market. Plenty of 48s #1 and #2 grade fruit. 60 and 70 ct remain active as there is a strong demand for smaller fruit. We are mid-season into the "Aventejada" crop, fruit cuts are great and eat well. Fruit mid to late season has higher dry matter than early season fruit. Avocados that have higher dry matter ripen faster. As far as domestic fruit, California will not harvest until late February, early March. Reason being is California is expecting a very light harvest this year due to last years heat wave and fires in the Oxnard/Ventura growing region. Another key reason, plenty of Mexican fruit in the pipeline. We will see light offerings on domestic fruit from now into March but nothing consistent until volume ramps up come March. The market on green bell pepper has been very steady with pricing in the mid to upper 20's. Quality has been good with most shippers, size is trending to the smaller sizes. Demand is starting to slow after a long period of escalated pricing, more supply from Mexico is just starting to show up in the U.S. and Florida shippers are indicating their supply will pick up late this week or early next week. Pepper supply continues to come from south Florida on both coast, South Florida is in the mist of the best stretch of weather so far this winter, which will help both supply and quality. Green Bell Pepper- Better volume on green bell pepper arriving in Nogales this week. Currently, good consistent volume is being harvested in Sinaloa and Sonora. Quality on green bells from both regions is good. Supplies exceed demand on green bells. Market on Green bells has adjusted down this week on #1 and choice grade pack. Green bell pepper from Mexico is also available to load in McAllen, TX. Red Bell Pepper- Good volume of Red Bell pepper continue to be available to load in Nogales, AZ from Mexico. The price on the red bell pepper has increased this week along with the market. Steady volume continues on both Elongated and Hot House bells in all pack styles. Consistent numbers on both varieties of red bells are expected to continue through the week. Quality of red bell on both varieties is good. Red bell supplies from Mexico currently crossing through Nogales, AZ, and McAllen, TX. Yellow Bell Pepper- Steady volume of Yellow Bell pepper continue to arrive in Nogales this week. Good weather in the growing region has maintained good yellow bell pepper production. Both elongated and Hot House varieties being pack in 11lb/15lb and 1 1/9 bushel carton. Quality on both varieties is good. Currently, supply meets demand. Market on the yellow bell is steady. Yellow Hot House bells are also available to load in McAllen, TX. Blackberries remain steady out of Mexico, supplies are fair with slight delays due to crossings being held up at the border. The market is increasing slightly depending on the loading date within the week as crossings dictate availability Quality is good. Blueberries are in steady supplies at several ports of entry coming out of Chile and Central Mexico. Loading points include Los Angeles CA, Yuma AZ, McAllen Texas and Miami Fl. The market is steady with lower overtones. Quality has been good. Raspberries are in fairly steady with supplies coming out of central Mexico and the Baja peninsula. The market remains steady and quality is good. Loading areas in the US include Dover Florida, McAllen Texas, Yuma Arizona and Oxnard California. California Strawberries are in extremely short supply due to 5 days of heavy rains in southern California leading into last weekend. These limited numbers will prevail through the end of the week and into the next as growers discontinue harvests for the next couple of days to allow cleanup of the plants and the dying out of the fields. A cold snap in the low 30s is expected through Friday further impeding plant growth and diminishing higher yield potential in the near future. Florida and Mexico are producing moderate numbers but not nearly enough to counter the shortages we are experiencing out West. These conditions have caused a serious lack of fruit for the Valentines day pull particularly on long stem berries. The broccoli market continues to have better supply and yields. 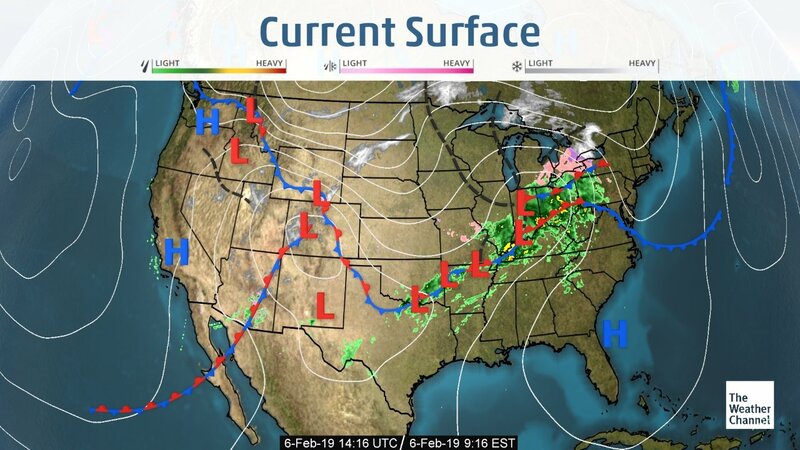 The weather has been cooperating in Yuma and Mexico and suppliers are looking at better #s. Weather looks to be turning cooler the next few days in all areas slowing down the growth process. Look for supplies to continue to be steady going into next week. Quality is good with slight purpling, some mechanical damage, and occasional yellow cast. The Brussels Sprout market continues to be tight with supply being affected by the recent rain. The quality has been affected by the rain and cold weather and sizing tend to run smaller due to this recent colder weather. Look for the Brussels Sprout market to remain tight going into next week. Cauliflower market has started to pick back up as suppliers are ahead of schedule. Yuma weather now looks cooler the next few days resulting in a slower growth process. Overall, the quality is good with minor bruising and some yellow cast with weights in the 25 to 28-pound level. Look for this market to continue to adjust higher going into next week. Heavy rains in the Oxnard/Santa Maria region occurred over the weekend and rain will continue for the first part of this week. Rain also hit Yuma over the weekend. With this being said, supplies will be tight throughout the week. Escalated pricing on contracts as well as value added items is in effect. Production in Yuma continues to be light. Southern California will be light as well. Common defects continue to be slight bowing, muddy product, mechanical, slight insect damage and leafy tops. Suppliers were hoping for better supplies this week but the rains have altered the harvesting of this commodity. Import cherry season is done. We will look for domestic production to start out of the Pacific Northwest in late March to early April. Domestic production will start in late march to early April. Jalapenos- Better supply of Jalapeno than last week available to load in Nogales, AZ from Mexico. Growers continue harvesting jalapenos out of Sonora and in Northern/Southern Sinaloa. Quality out of Sonora is good. Quality out of Sinaloa is good. Mostly medium to large size available from both growing regions. Market on jalapeno has started to decrease and should continue to decrease minimally as we end the week. Jalapenos from Mexico also available to load in McAllen, Texas. Pasilla- Good supply of Pasilla available to load in Nogales, AZ from Mexico. Good volume continues to be seen this week and should continue through next week. Quality on Pasilla is good. Size on the pepper currently ranges from medium to extra large. Market on Pasilla is currently steady. Price on Pasilla pepper is expected to decrease moving towards the end of this week. Pasilla crossing through Nogales is being harvested in the Mexican states of Sinaloa. Quality from Sinaloa is good. Pasilla from Mexico also available to load in McAllen, Texas. Anaheim- Moderate supply of Anaheim continues to be available to load in Nogales, AZ from Mexico. Lighter Anaheim production expected through next week. Anaheim crossing through Nogales is currently being harvested in the Mexican states of Sinaloa. Quality of peppers from Sinaloa is good with mostly large size being packed. Market on Anaheim is slightly higher. Anaheim from Mexico also available to load in McAllen, Texas. Serrano – Moderate supplies of Serrano peppers continue to be available to load in Nogales, from Mexico. Supplies expected to remain moderate. The demand slightly decreasing. Price on Serrano pepper also decreasing on a 40lb box and #10lb Pack and is expected to remain steady through the week. Light supplies of Serrano also crossing into McAllen, Texas. Tomatillo – Husk and Peeled tomatillos are available to load in Nogales, from Mexico. Good supplies on both varieties expected to continue through the week. The tomatillo market is steady. Prices remain steady in the low teens. Quality on both varieties is currently good. Both varieties of tomatillos are also available to load in McAllen, TX. The Cilantro market continues to come off with the nicer weather in Yuma and Mexico the last week. The cilantro quality is good and has been affected a bit by the colder weather at the beginning of January. Look for the cilantro market to continue to come off going into next week. District 3 is done for the season, District 1&2 (Central Valley & Southern California Coastal Region) volume is slowly building inventory and peaking on 75ct/95ct/115ct size to start. Due to the recent weather, the smaller size fruit 140’s and smaller are looking to tighten up for the next couple of months. The rain and cold weather brought on the larger fruit and smaller fruit is staying limited on sizing and green on the trees. Current markets are looking steady, normal business on small fruit looks steady for now but could get snug in the next few weeks. Last week lime prices have come off due to the flooded market. This week limes are decreasing in availability with the sizing trending smaller and indicating more new crop coming in the manifest. This causing the lime market to strengthen this week. The flooded market was a cause of most growers had an oversupply on the trees that needed to be harvested. There was an abundance of small fruit available and being offered a largely discounted price driving the market prices down. Suppliers are thinking prices will go back to climbing weekly. Current FOB market prices on 10# are $5-$7, and the 40# current market prices are $12 - $18 depending on the size. California Navels are starting off the week with light supplies. After five days of consistent rain over the weekend in the Central Valley it has put most suppliers in a position to be snug the middle part of the week. Markets remain steady and most suppliers are holding off promotable opportunities until they build inventory supplies. We get a break from the rain after Tuesday and suppliers are expecting to go back and pick, but depending on how muddy the fields are will determine how soon they can harvest. 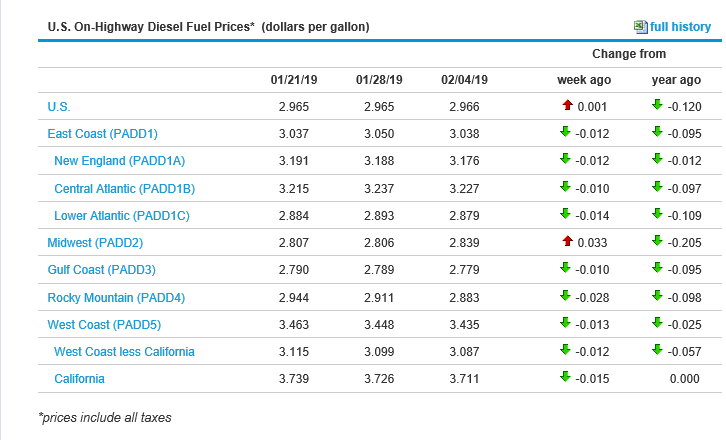 Demand continues to feel strong as we approach the beginning of February. After we get past the rain suppliers should be harvesting good numbers. Color and flavor are excellent, brix averages are climbing to 13-14 as we are into some of our best varieties of the season. Continue to push Navels with confidence. This is the best time of the year for great quality and we will continue to see great quality moving forward. The pack has been majority fancy grade with limited choice grade availability. Satsuma Mandarins supplies are ample on any size or pack style. Brix is 12-14 and extremely juicy. Delite Mandarins are coming along peaking on 32/28/24 followed by size 36. Plenty of Pummelos available. Sizing and quality look great. Cara Caras & Blood are moving along, plenty of supplies available. Cucumber supply on the east coast is entirely from Honduran imports. Supply has been very good and pricing in the past week has come down to reflect that. Shippers have been struggling to keep up with inventory and that has caused a few issues with quality. The cucumbers have good quality and color but when inventory gets some age on it upon arrival, shriveled ends and soft sunken areas begin to appear. Shippers are reporting lower volume of cucumbers arriving at ports this weekend and early next week, so there could be some strength in the market coming soon. Cucumbers are in peak season. Light supplies of cucumber are being harvested in Sonora, Mexico. Quality out of the Sonora district is mostly fair. Moderate supplies of cucumbers also being harvested in the Mexican State of Sinaloa this week. Supplies have decreased as growers are transitioning to new fields. Mostly plain and small sizes available in 1 1/9 bushel pack this week along with 24ct and 36ct pack. Few Super, Select, and large size are also available. The cucumber market has stabilized and is expected to remain steady for the remainder of the week. Quality out of Sinaloa is good. There is light volume of eggplant being harvested in South Florida on both the east and west coast. Demand has really diminished in the past week and pricing is starting to reflect that. Quality has been good for the most part, there has been a few issues with scaring from the high winds south Florida experienced a month ago. Below average temperatures have kept eggplant production low but Florida is in for a good stretch of warm weather that should give plants a boost. More product from Mexico is crossing into the U.S. and that should keep the market steady for the next few weeks. Eggplant continues to be harvested in the Mexican State of Sinaloa. Good supplies of eggplant currently being harvested and have increased this week due to good weather in the growing region. Both fancy and choice grade currently being packed. Current market on eggplant has decreased minimally and is expected to remain steady through next week. Quality from Sinaloa on fancy and choice pack is mostly fair to good. Green grape supplies remain very limited this week. The volume of green grapes being sent to the U.S is minimal and demand continues to exceed supplies. Quality is good and market prices are firm. We do not expect to see better supplies of green grapes until the week of 2/18. Until then, we will continue to face challenges on availability and open market fruit. We will see occasional opportunities to jump on some open market fruit as it opens up on a day to day basis on the east coast. On the west coast, we expect to be very limited. Supplies of green grapes remain very limited on both coasts. Markets will stay firm until we see better arrivals. Red grape supplies remain limited this week, but the tone across the industry is that the situation is improving. The consensus is that we should see better availability by next week. More containers are expected to arrive later this week and through the weekend. Depending on how quickly they get unloaded, we expect to see more fruit in the market by the front part of next week. I do not think the market prices will drop as quickly as we were anticipating, but we will see a gradual decline in price as we move forward. I do not foresee the markets flipping by the front part of next week. Quality has been good with some light color and occasional soft berries. Supplies are still fairly limited this week, but will improve next week. Market prices will remain steady for the next 7 days. The Green Onion market has started to come off with the recent nice weather in Mexico. Currently, the weather has cooperated with a little more supplies coming on. This recent cold weather in January is causing occasional leaf minor and mechanical damage. The green onion market will continue to come off going into next week. This market is firm to begin the week. Rains hit the Yuma region last Saturday which slowed down production on the weekend and Monday. With this being said, there was enough product to fill all orders to start the week. Overall supplies look to be steady throughout this week. Cool temperatures will hit the Yuma region by the middle of this week. No rain is in the forecast. The quality will continue to be marginal. Expect issues of puffiness, discoloration, mechanical, and blister to be seen upon arrivals. The weights on palletized lettuce are averaging 38-42 pounds. Processed items will continue to suffer in terms of shelf life with all processors. The raw material being used is weaker at this time. Steady inventories continue to be the story on romaine as well as well as on all leaf items. Overall, this market has remained unchanged from the previous week. Shippers continue to flex on large volume type orders. There continue to be multiple offers on romaine as well as romaine hearts in the industry. Common defects being reported to include most notably blister and peel. Green and red leaf, as well as butter, is steady. Common defects that are being reported include blister and peel, like romaine, mechanical as well as fringe burn. Expect shorter shelf lives for processed items due to weaker raw material being available. The Tender Leaf market has started to come off on spring mix, arugula, baby spinach, and cello spinach with the recent warmer weather in Yuma. Quality issues are fair with minimal yellowing and bruising of the tender leaves. Look for these items to continue to remain steady going into next week. This week we are seeing good demand on import cantaloupes and the market is about steady. Temps in all growing regions (Guatemala, Honduras, Costa Rica) are in the 80s to 90s. Zacapa Guatemala is calling for rain mid-week into next week. Quality has been good and plenty of fruit the east and west. Volume deals this week on small fruit. Import Honeydew production remains in a demand and exceeds supply situation with no immediate end in sight. Larger fruit is extremely challenging as most arrivals from Guatemala are leaning very heavily toward the smaller fruit (8/9/10s). Quality has been fair with minimal spotting and scarring. There is a strong possibility that flexibility in sizing will be required in order to fill orders accurately. Honeydews will remain extremely short on large fruit (5/6s) with smaller fruit (8/9s) being available at still strong money. The growing region of Guatemala is expecting some rain mid week into early next week. Light supplies of watermelon continue to be available to load in Nogales, AZ. Light volume continues to cross through Nogales, AZ as demand remains high. Few shippers receiving watermelon from Jalisco. The watermelon market is reported as being high and expected to remain the same through the next couple of weeks. Quality on new crop watermelon being reported as good. Onion markets out of all areas have had little change over a couple of weeks. White onion continues to be in short supply out of the Northwest. They are only in a few hands. Mexico will come into play with volume over the next couple weeks which will bring this market back into check. Demand overall is moderate. Quality is still good with little to no reports of issues upon arrivals. Transportation is good. D'Anjou Pear demand has picked up on the smaller sizes 100 counts and smaller with continued good supplies 80/70. The market has firmed 100 and smaller. Quality is still good. Bosc pears have really good supplies of small sizes 100 and smaller with lighter supplies of 80 count and larger. Quality is good. Shippers are making deals. Bartlett pears are getting into fewer hands and peaking on US#1 80-100 with few fancy's. Quality is good but only order what you need. Chilean Bartletts are available. Current supplies are improving and will continue to get better each week the next couple months. The decrease in supplies was caused by Costa Rica having issues with Basal Staining. This causes a discolored ring around the base of the pineapples causing too much moisture in the soil from previous heavy rains. Shippers stepped up their selection process for packing to ensure the best quality arrives. Current market prices on all sizes between $10-$12. The Idaho market is steady from last week but supplies of 80-count and larger are limited. Once demand picks up we will see the market firm up quacking on the larger sizes. The Burbank size profile is peaking on 80 count and smaller. Most of our shippers are close to transitioning from packing both Norkotahs and Burbanks to Burbanks only. Demand is light on Retail bags which is keeping some sheds only running limited hours. Quality is good with little to no issues upon arrivals. Demand and supplies are steady across all shipping points of Red Potatoes. Look for this to continue through March. Quality is good. Gold and White demand are steady with moderate supplies. New Crop Florida supplies are slowly building on all colors. Squash production is good on both colors from Homestead to Immokalee. Quality is good on both colors now, much of the scaring issues we saw last week on yellow squash is clearing up. Yellow squash pricing has held higher than green squash for the past week but with a long stretch of warm clear weather coming in south Florida production has already started picking up. We look for good production through the weekend and next week with yellow squash and green squash pricing settling at a moderate level. Squash is in peak season. Italian and Yellow S/N- Good supplies of Italian squash available to load in Nogales, AZ this week. Moderate supplies of Yellow S/N also available to load in Nogales. Steady Supply of Italian squash continues on both #1 and #2 quality packs. Currently more #2 than #1 pack on Yellow S/N. Price on Italian squash continues to be low this week while the price on yellow s/n has stabilized in the mid-teens. Quality on both packs on Italian is good. Quality on yellow s/n is mostly fair to good this week. Supply on Italian squash exceeds demand. Supply on Yellow S/N meets demand. Stone fruit availability is finally starting to improve. Although size options remain fairly limited, fruit is arriving more consistently. We have options of loading fruit on both the east and west coast. There are several shippers who have fruit available and prices are slowly declining. Quality is being reported as strong. Mostly large size fruit. Nectarines, Peaches, and Plums are now available. Cool weather throughout Florida growing regions has slowed production of tomatoes, and with scattered rains through the weekend, volumes have been reduced. Despite the small dip in supply, heavy volumes crossing from Mexico continue to bring Eastern FOBs down in order to be competitive. Quality is mixed but a fair amount of #2 fruit is available as a result of recent rain and wind. Roma tomatoes are consistent in light supplies with a bulk of the overall volume coming from Mexico as planned for the season. Grape and cherry tomatoes yields are mixed between farms with a steady supply overall. Mexico is in full swing production working through Winter crops boasting heavy volumes crossing AZ and TX. All items are at Suspension agreement minimums. Favorable weather has shown an increase in quality, size of tomatoes. There is good supply of large rounds and plenty of volume spanning all varieties. With more favorable growing conditions in the coming week, markets should continue into February near minimums with healthy supply through both McAllen and Nogales facilities.